Everything acknowledges the Creator and sings of His glory. Just a little overwhelmed by that concept this morning. Praise God and His salvation in Yeshua! Only the Creator of all things is worthy of our worship! 16 Then he said to me, “Son of man, I will break the staff of bread in Jerusalem. They will eat bread by weight, in anxiety, and they will drink water by measure, in horror. 17 On account of their lack of bread and water they will be appalled at one another and waste away in their iniquity. Even as God broke out against Jerusalem for their sins, the people continued to be worried about the physical and not the spiritual. Not all bad things that happen to us are because of our sin but Adonai let me recognize when you correct me in the physical so that I can repent in the spiritual. I ask this in Yeshua’s name. amen. I must be attentive when God speaks, I must, like Ezekiel open my heart to His Word so that it is written there, but I must also hear His Word with understanding so that I can employ it so others may hear. Then I must be ready with God’s Word at all times no matter if people are ready to hear or not. Dear Lord, let me be fierce like Ezekiel, hone me to speak Your Word with conviction and keep me for being a stumbling block for others. I ask this in Yeshua’s name, Amen. Even though John is addressing someone in particular it is a example that I need to strive for, helping those that are furthering the ministry of Yeshua. I cannot go where others are called but I can support them in their calling. Abba let me see with Your eyes all that should be supported, I ask in Yeshua’s name, amen. 9 Everyone who goes ahead and does not remain true to what the Messiah has taught does not have God. Those who remain true to his teaching have both the Father and the Son. 10 If someone comes to you and does not bring this teaching, don’t welcome him into your home. Don’t even say, “Shalom!” to him; 11 for the person who says, “Shalom!” to him shares in his evil deeds. Toleration is not acceptable. It can be misconstrued as acceptance and lead to false teaching. Instead we are to witness the love of God in our lives and if they accept invite them in if not then move on. 20 And we know that the Son of God has come and has given us discernment, so that we may know who is genuine; moreover, we are united with the One who is genuine, united with his Son Yeshua the Messiah. He is the genuine God and eternal life. There are many little-g gods that can distract us from truth, but there is only one truth and salvation from Adonai, that is trusting in the sacrifice of Yeshua. That trust gives us the vision to get rid of the things that would interfere with that trust. Abba keep me always in Your hand. Strengthen my trust so I can more readily proclaim You. I ask this in Yeshua’s name, amen. 18 Children, let us love not with words and talk, but with actions and in reality! Trust in Adonai without actions is useless and dead. The worrld cannot know the love of Yeshua if we as believers do nothing. Lord let me always follow Your prompting to help others as You care for me and my family. I ask this in Yeshua’s name, amen. than to put one’s trust in princes. 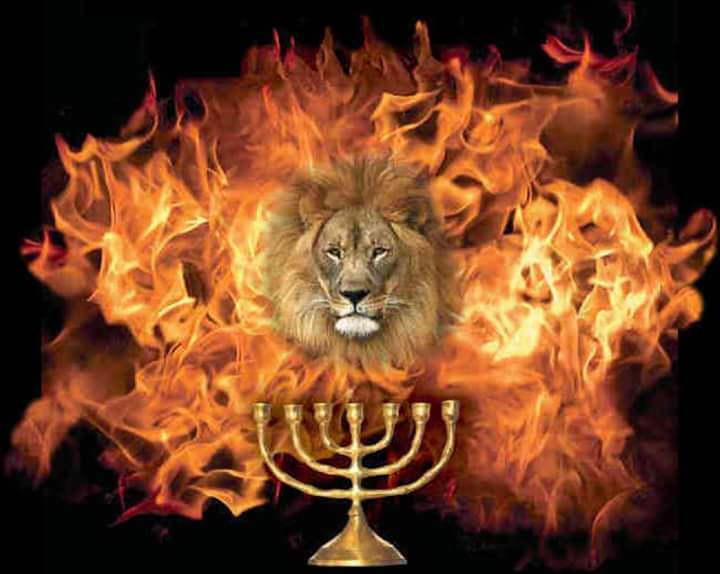 In this time of political upheaval,viscious reteroric, and division there is only one we need trust, Adonai El Shaddai, the Lord God Almighty, who’s saves us with a mighty hand and keeps us in His will. Thank you Abba for your protection, Amen. 12 Yeshua said to them, “Come and have breakfast.” None of the talmidim dared to ask him, “Who are you?” They knew it was the Lord. 13 Yeshua came, took the bread and gave it to them, and did the same with the fish. 14 This was now the third time Yeshua had appeared to the talmidim after being raised from the dead. Familiarity leads to Friendship which leads to Love which leads to Trust. The Talmidim knew it was Yeshua because of the time they spent with him in their lives. I have learned to trust God for the time i have spent studying His Word and in prayer with Him. Each day my relationship grows so that I can see him more fully.